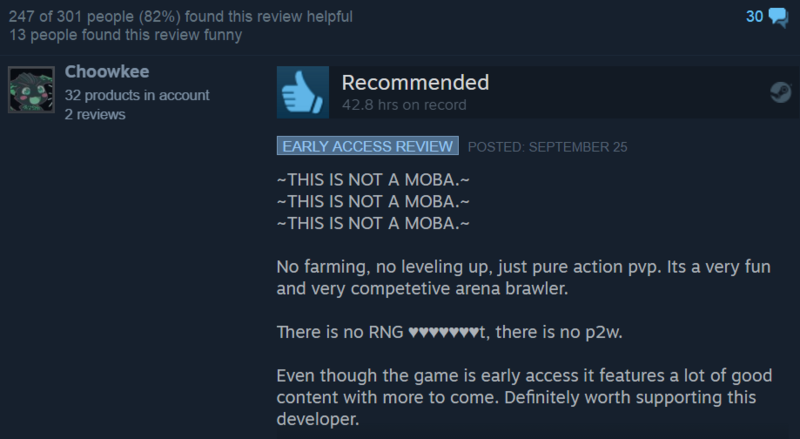 Battlerite is a new arena brawler that's been near the top of Steam's charts for a week, with no signs of slowing down. 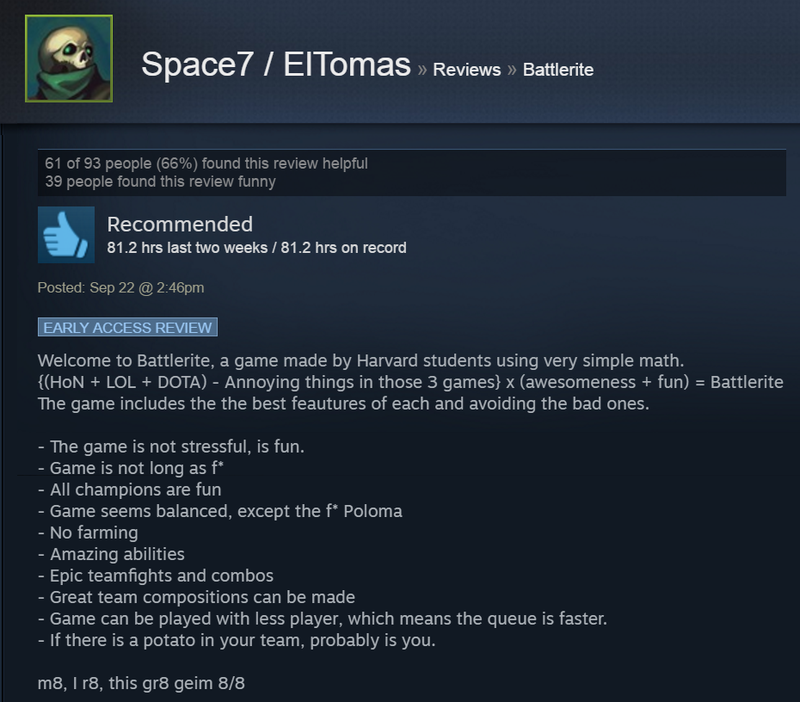 It looks like a MOBA, walks like a MOBA, and even talks like a MOBA, but reviewers love it because it actually isn't a MOBA. 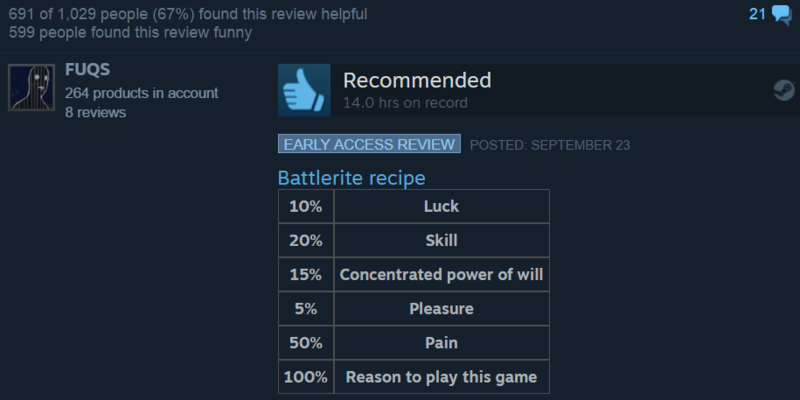 Battlerite takes the basic MOBA foundation and strips away lanes, farming, items, and the million year span—during which multiple species are born and extinguished, and the salty tears of negligent gods form into entire worlds—before something actually happens. 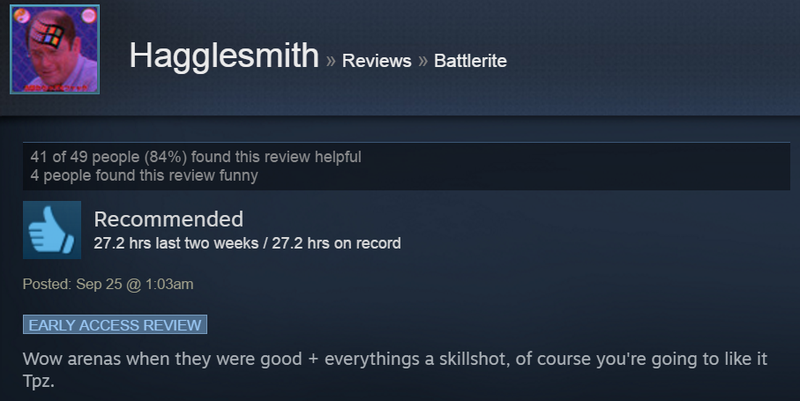 In short, players jump right into gritty, skillshot-based team fights. They're fast, exciting, and hella satisfying. 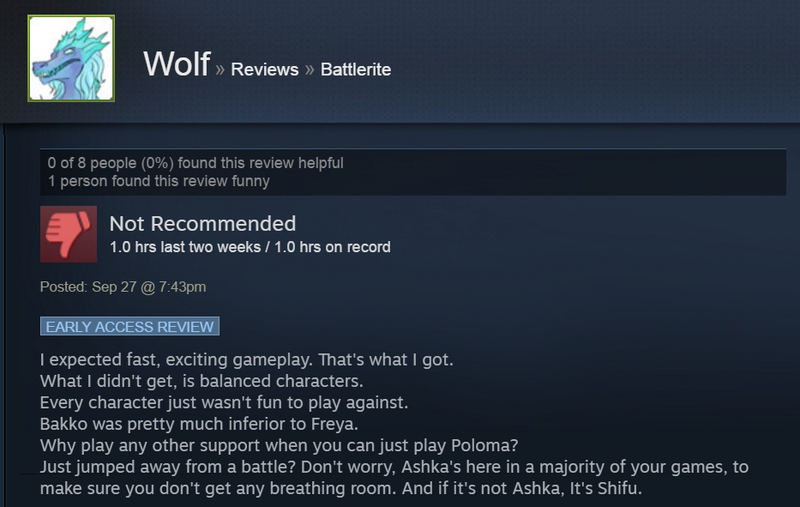 What players are concerned about isn't so much the game itself, but rather its scaffolding. 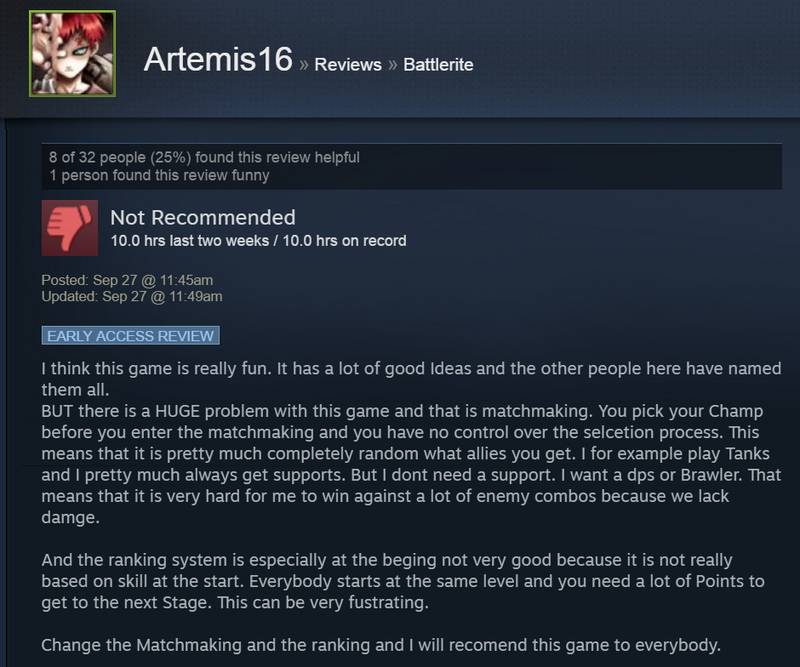 The ranking and matchmaking systems are contentious topics, and given that Battlerite is still in Early Access, ones that many players are hoping to see overhauled. Any Australian players? How's the lag? Seems like it would be tough going. 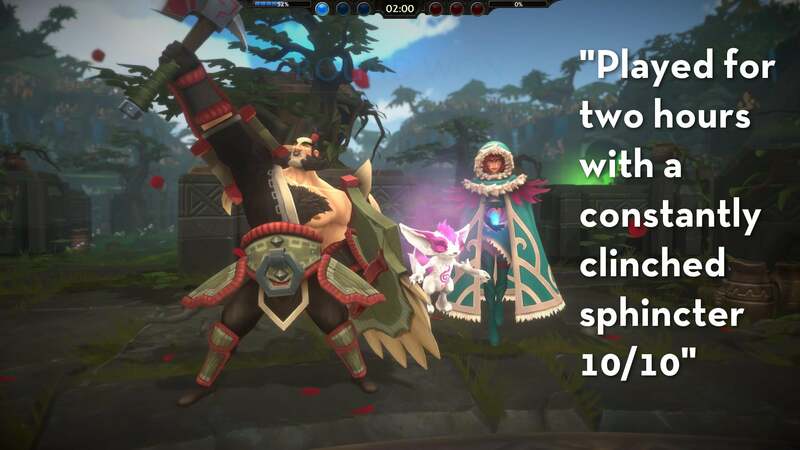 There's Australian Servers, matchmaking isn't instant but we find games every 0-4 minutes. 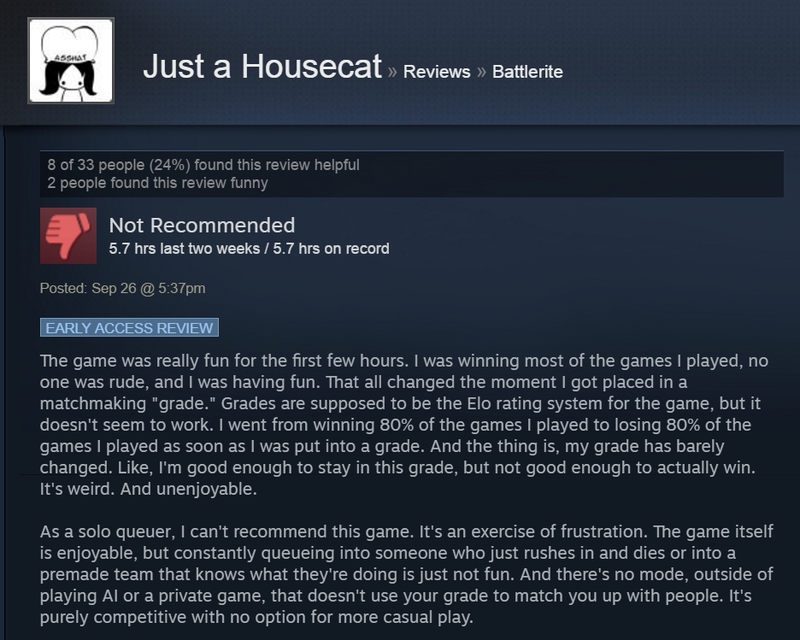 (Haven't had lag in a single match yet so I'm assuming it's correctly preference Aussies).